About / Description: Chula Vista Isles Association was formed in 1996 when the southwest area was unincorporated. Several contiguous cities were proposing annexation. 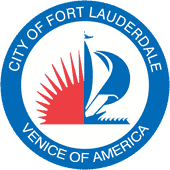 Fort Lauderdale was the ultimate choice of the residents and Chula Vista and surrounding communities.We are bounded on the north by SW 14th street, on the west by SW 31 Avenue, the southern boundary is Riverland Road and toughly on the east by SW 28 Terrace.The New River Middle School adjacent to the area is a marine biology magnet that has been recently rebuilt. Nearby elementary schools are some of the best in Broward County.Four shopping centers are being either built or completely refurbished near Chula Vista within the proposed Davie Boulevard Master Plan. Chula Vista Isles is a quiet pocket of homes where property values are consistently rising. It’s a nice place to live.